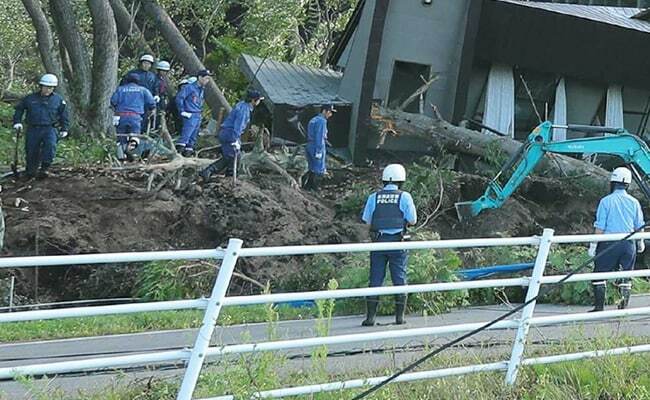 "We never had landslides here," said Akira Matsushita who lost his brother in Atsuma. "I couldn't believe until I saw it with my own eyes," he told TV Asahi. "When I saw it, I knew no-one could survive." "They're doing their best around the clock," Yoshihide Suga told reporters. All three million households in Hokkaido lost power when Thursday's quake damaged a thermal plant supplying electricity to the region, but Abe said power was mostly restored. "Thanks to hard work to boost power supply throughout the night, the number of households without power has declined to 20,000," he told a cabinet meeting.